Join us for a new musical Kabbalat Shabbat program this spring. The program will combine a musical service with a band and choir led by Cantor Goldstein. You will fill your soul with spiritual energy as you sing your way into Shabbat. Cantor Marty's last class until May! We will be extending his Kabbalah and Jewish History class. Join us as we continue to explore the basics of Kabbalah and how it is woven into the fabric of Jewish history. 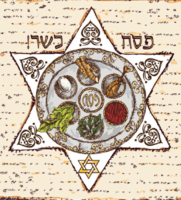 We will delve into thought-energy and the power of Love, Kindness and the Sharing aspects of Hashem that has been channeled through the Human Chariots of the sefirot such as Abraham and Moses. No prior knowledge necessary just an open mind. A warm, friendly, upbeat Kabbalat Shabbat full of singing dancing led by Reb Noam that takes place the first Friday of every month. It is open to all and all are encouraged to participate. 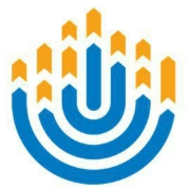 Following Happy Minyan we will be having a young professional happy hour in partnership with The Den. 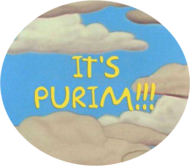 Purim is over and Pesach preparations are under way. 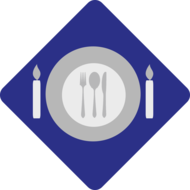 As most of us know, the Torah prohibits us from not only eating, but also owning, chametz on Pesach. 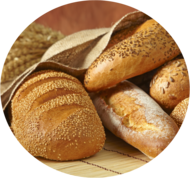 The sale of chametz is a time-honored tradition in Jewish Law enabling us to more easily observe this prohibition. 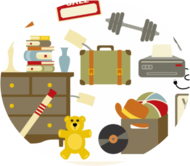 It is a complicated procedure and it is customary to have a Rabbi familiar with the requirements to handle the sale. 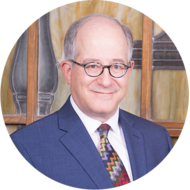 Rabbi Chaitovsky os ready – and would be honored - to act as your agent and assist you in this important tradition. By filling out this online form ​​​​​​​, you appoint, you appoint Rabbi Chaitovsky as your agent to sell your chametz on your behalf. 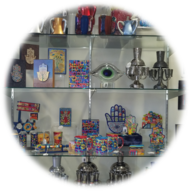 Come search for an escape before you search for chametz! 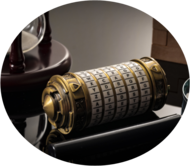 Young professionals are invited to join BMH-BJ for an escape room. Following the game, the group will head to a nearby coffee shop where Rabbi Chaitovsky will lead a discussion on Passover. Reservations are required so sign up today! 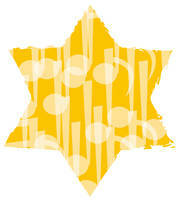 On March 23rd, there will be a wonderful bar mitzvah in the Chotin-Cohen-Gold Sanctuary. To accommodate the family’s wishes there will be a mechitzah that day. We look forward to celebrating with everyone! 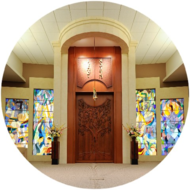 We are often asked, "what does the Shul mean to you?" In the Summer edition of The Scribe, we want to feature your answers. Let us know by filling out this survey. 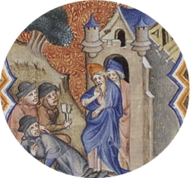 Do you have a simcha you want to announce in our Scribe? We want to feature graduations, weddings, engagements, birthdays, birthdays, anniversary, bar and bat mitzvahs and anything else worth celebrating in your world. 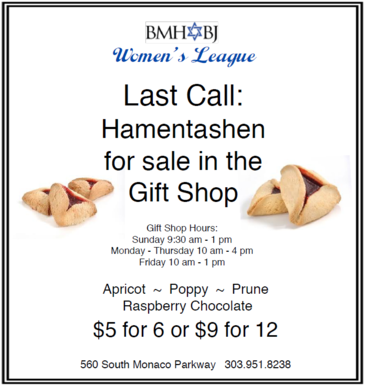 Email clergyassist@bmh-bj.org to get your simcha in The Scribe. 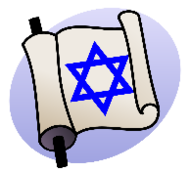 Due to popular demand Cantor Marty will be extending his Kabbalah and Jewish History class. Join us as we continue to explore the basics of Kabbalah and how it is woven into the fabric of Jewish history. 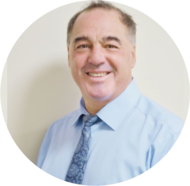 We will delve into thought-energy and the power of Love, Kindness and the Sharing aspects of Hashem that has been channeled through the Human Chariots of the sefirot such as Abraham and Moses. No prior knowledge necessary just an open mind. Sunday morning our Preschool and Women's League kicked off Purim with an amazing carnival that provided fun for all ages. 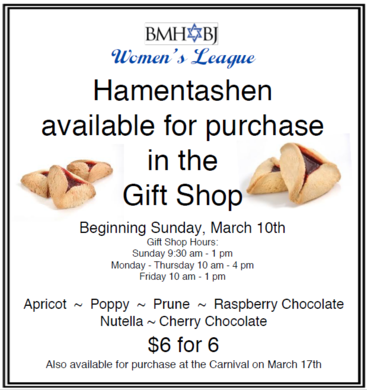 Tomorrow and Thursday the celebration continues with a variety of Purim programs at our shul and the Women's League continues to sell hamentashen in the Gift Shop all week long. The BMH-BJ Synaguage and Preschool are bringing our young families a​​ lively evening where kids can hear the story of Purim. The evening will kick off with a dairy dinner. Following dinner, Cantor Marty and the teachers will perform a short spiel. The evening will end with a costume parade featuring all children. Cantor Marty will be reading the Megillah with a presentation and commentary from Rabbi Chai and his friends Homer, Marge, Bart, Lisa and Maggie. Following the reading we will enjoy juice and hamentashen (mmmm…hamentashen). This reading is open to all ages. Consider bringing a box of pasta as your groger that can later be donated to the Jewish Family Services food pantry. Come in costume! Following Mincha/Maariv a traditional Megillah Reading will take place in the Chapel. Consider bringing a box of pasta as your groger that can later be donated to the Jewish Family Services food pantry. Come in costume! Following the reading we will enjoy juice and hamentashen. A traditional Megillah Reading will take place in the Chapel. Consider bringing a box of pasta as your groger that can later be donated to the Jewish Family Services food pantry. Come in costume! 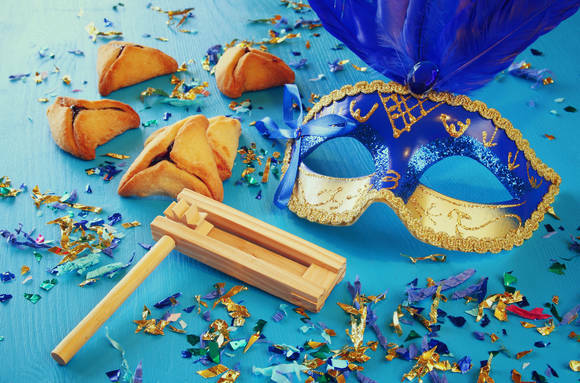 Join us for a fleischig meal, games and an overall fun evening as we celebrate Purim together! 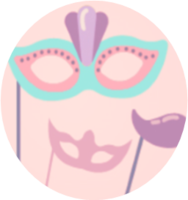 You're invited to a topsy-turvy, wildly wacky, fun-filled Purim carnival! 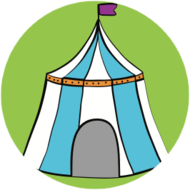 Join us for dozens of games for all ages, music, goldfish, a velcro wall, costume contest, TWO bouncy castles, a delicious lunch, cotton candy, popcorn, puppy adoption, Scholastic book fair, and more. Purchase your tickets today! We are also looking for volunteers to help with check in, carnvial set up and take down, and to run games. Contact programs@bmh-bj.org to sign up. The BMH-BJ Synaguage and Preschool are bringing our young families a​​ lively evening where kids can hear the story of Purim. The evening will kick off with a dairy dinner. Following dinner, Cantor Marty and the teachers will perform a short spiel. The evening will end with a costume parade featuring all children. Register Now!